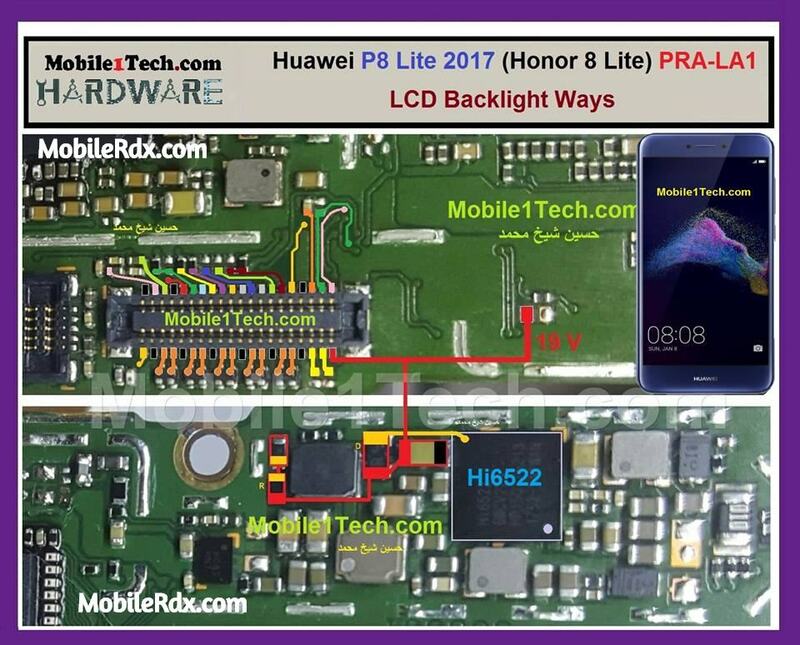 Repairing__for the “Huawei P8 Lite display light ways” with image diagram. The user also learn for the how to? solution *If display lights are not working__dark display, damaged display connector issue. Today! I am going to share with you__How to fix the missing display light error into Huawei P8 Lite. Make Direct jumper in Huawei P8 Lite phone. To resolve__There is the dark display of Huawei P8 Lite phone. You need to unplug the battery first and approach to its motherboard after UN-boxing from its inner or casing. This cell phone Huawei P8 Lite need extra care during UN-boxing from its body. You need to follow the image color lines for the direct jumper ways at missing display connector light pinpoints. How To Repair Huawei P8 Lite Display Light Problem?